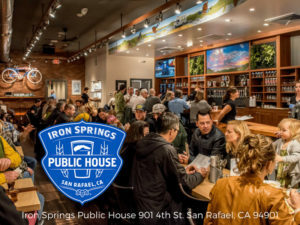 Iron Springs will be generously offering free beer tastings and have some yummy bites too! Come join your fellow business neighbors in our beautiful new Public House. The Parking Services Department will be there with exciting news of of FREE WEEKEND PARKING in City Garages! They will have handouts for you to give to your customers, as well as signage to place in your business, so folks know about the free Saturdays and Sundays. Jim Myhers, the Parking Services Manager, will answer all of your questions like: Do the meters reset when one car leaves? Can one purchase 500 0ne-hour parking valadations for 10 cents each? Or Frequent Parking Cards? Ask them anything! Join us for a FUN informational event!